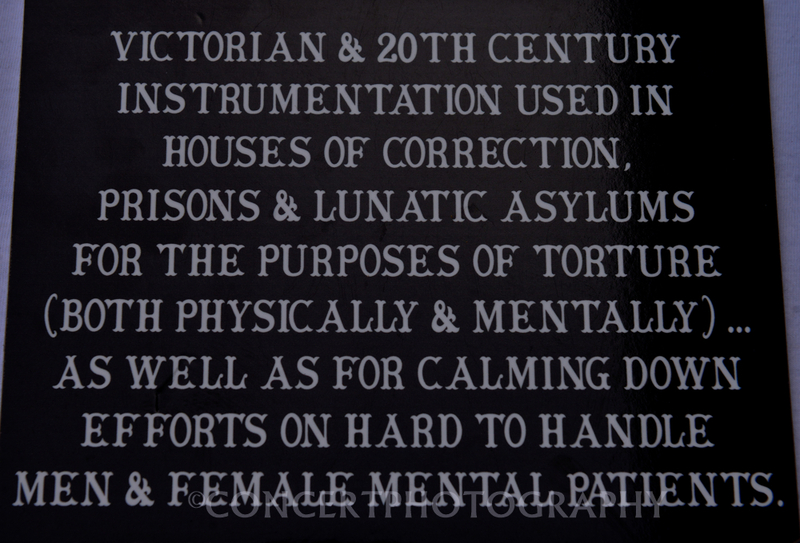 BELOW ARE TWO INTERACTIVE DOCUMENTARY INSIGHT FOOTAGE VIDEOS OF THE HORRORS WITHIN THE CAMP . NO WORDS THOUGH WE ARE SURE YOU WILL AGREE, THESE IMAGES TELL A THOUSAND OR MORE UNTOLD STORIES . ORIGINAL “GROUND DUG ” FROM A USTASHA EXECUTION SITE … A USTASHA SOLDIER’S HANDMADE DECORATIVE RING MADE FROM THE REMNANTS OF A PIECE OF KRUPP BERNDORF CUTLERY WITH AN ADDED USTASHA EMBLEM . 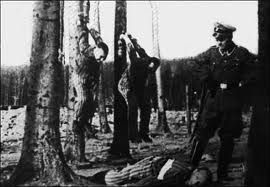 During the Holocaust, one group of killers stood out as more vicious, murderous, and bloodthirsty than all others. The Ustasha of Yugoslavia was a Muslim-Catholic alliance of Nazi killers so beastly that even Nazi officials in Berlin were horrified. The Ustasha and three related crack divisions of Arab-Nazi Waffen SS comprised of tens of thousands of Muslim volunteers and terrorized people of all faiths in Yugoslavia. In large measure, these murder machines emerged through the efforts of the grand mufti of Jerusalem, Hajj Amin al-Husseini. The grand mufti was on a mission to accelerate the extermination of all Jews everywhere. His partner was Adolf Hitler. The epic story of this alliance is one that began in Jerusalem, traveled to Baghdad, culminated in the Balkans, and ultimately spread across all Europe. In many ways, the scene was set centuries ago by the Medina Extermination of 627. Medina was a largely Jewish city. When its 600 or so Jews refused to convert to the new Muslim religion, the Prophet Muhammad murdered them in a protracted ceremony, beheading the Jewish faithful one by one. This massacre became a glorious iconic event in Islamic history. After Medina, the Islamic Conquest swept across the Middle East and North Africa. In about 700, the Pact of Umar declared that Jews and Christians under Muslim control could continue as non-Muslims, but only as dhimmis – that is, second-class citizens reviled for their existence and denied many ordinary rights. Throughout the ages while dwelling in the various realms of the Muslim world, Jews and Christians were either allowed to excel and thrive or were brutally repressed and persecuted, depending on the decade and territory. But the context of their existence – whether successful or subjugated – was always as second-class citizens. Islam’s many anti-Jewish mandates were not just ancient textual relics but were often quoted by Islamic leaders throughout the centuries. When the League of Nations, Britain, France, the United States, Germany, and finally Turkey endorsed a Jewish homeland, each with a formal resolution resembling that of the Balfour Declaration, it ignited a seismic outrage among Arabs. The very thought of Jews living as equals was anathema to Palestinian Arabs. From 1920, their regular rallying call was Itbach al Yahood! – Slaughter the Jews. With knives and rifles, in small spontaneous groups and organized mobs, Arabs murdered Palestinian Jews, burned their Torahs and laid waste to their synagogues as Jews tried to rebuild a homeland. Indeed, in 1929, when Jews sat down while they prayed at the Western Wall, violating Islamic prohibitions against Jews sitting there – a mob of Arabs swarmed over Hebron sadistically killing dozens. The Jewish baker was baked in his own oven. 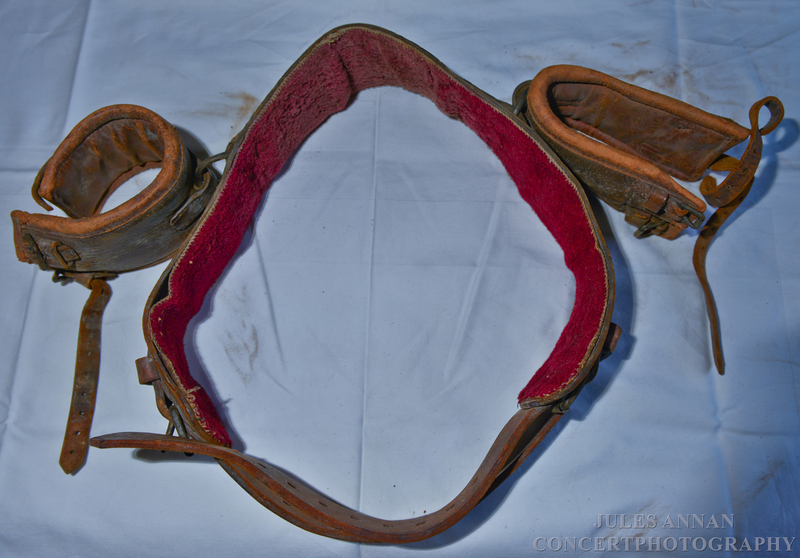 A Jewish scholar’s brain was extricated and used as a ball. In 1937, the Peel Report concluded that two states should be created, one Arab and one Jewish, living side by side. But the Muslim world would not tolerate the notion of coexistence with Jews as equals. “Our hatred for the Jews dates from God’s condemnation of them for their persecution and rejection of Isa [Jesus], and their subsequent rejection later of His chosen Prophet [Muhammad] . Verily the word of God teaches us, and we implicitly believe this for a Muslim to kill a Jew ensures him an immediate entry into Heaven and into the august presence of God Almighty. What more then can a Muslim want in this hard world?” These were the words of the king of Saudi Arabia during a lecture to the British Foreign Ministry in 1937. The grand mufti of Jerusalem was the leader of the Palestinians. The Nazi-Arab alliance had been aggressively sought by the Arabs of Palestine since the Third Reich’s first moments in 1933. After the Peel Report, the mufti and his loyal followers launched a murderous, non-stop insurrection known as the Arab Revolt. When the British tried to arrest him, the mufti fled to Iraq where he helped foment a coup. In Iraq, the mufti found a virulent and widely embraced Arab-Nazi movement. Mein Kampf had been serialized in Arabic. Hitler Youth-style Arab regiments were well organized. On June 1-2, 1941 – after a failed Nazi-Arab attempt to exterminate the Jews of Iraq – Baghdad Nazis, the police and national military units went on a two-day murder spree. Once the British finally restored order, the mufti fled again, this time to Iran where another failed Nazi takeover was thwarted. From Iran, the mufti and his cohorts escaped to Berlin to meet Hitler personally. In Berlin, a pact was sealed to provide Arab oil and battlefield military assistance sufficient to help the Nazi push into Russia in exchange for recognizing an Arab national state and exterminating the Jews. Arab military units formed from Paris to Palestine. Arabs and Muslims worldwide, on the radio and in newspapers, incessantly and openly called for the extermination of the Jews. The rallying cry was: “In Heaven, Allah is your master; on Earth, Adolf Hitler.” When Heinrich Himmler needed to fight the partisans of Yugoslavia to protect German supply lines, the mufti visited the region and helped organize tens of thousands of Muslims and Arabs into three Waffen SSdivisions. Those three divisions – the Handschar, the Skandebeg, and the Kama – formed artillery brigades, transport battalions, infantry companies, and fought a bloody trench and mountain warfare against the partisans in Albania, Bosnia, Croatia, and the other Balkan territories. * * * * * Concomitantly, a Nazi murder militia known as Ustasha was created from a legion of Catholic and Muslim killers. The history is complex. In the Croatian maelstrom of ethnic and religious hatred, steered by Nazi mentors and puppet masters, Catholic Croats ironically decreed that all Muslims were Croats. This enabled the Catholic Croats to establish a majority in their enlarged territorial domain. That enlarged Independent State of Croatia was known in the dialect as Nezavisna Država Hrvatska, or the NDH. The Independent State of Croatia was in fact a bi-ethnic murder regime sworn to exterminate the millions of Yugoslavians who were neither Catholic nor Muslim through the Ustasha. Although Muslims were a minority in the NDH, the Bosniak Muslim faction and the Croatian Catholics jointly ruled and jointly murdered. The NDH’s fascist extremist president was a staunch Hitler ally and former Jesuit seminarian, Ante Pavelić. His official title was poglavnik, a Croatian word that approximates der Führer.The vice president was Muslim Džafer-beg Kulenović, previously president of the Yugoslav Moslem Organization, a Bosniak nationalist organization. The Croatian minister of culture and education was Mile Budak, a rabid Catholic-Nazi who propagated the axiom of killing one-third, converting one-third and expelling one-third of all Serbs. Budak and other Catholic Croats believed Muslims were actually descendants of the ancient Bogomil people who had inhabited the Croatian lands centuries earlier. As a leader in forging the Muslim-Catholic alliance, Budak enthusiastically proclaimed in 1941, “We Croats are happy and proud of our [Christian] faith, but we must be conscious of the fact that our Muslim brothers are the purest ofCroats.” He elaborated in a speech that the NDH was “Christian. [But] it is also a Muslim state where our people are of the Muslim religion.” In July 1941, Budak openly declared that the new state must exterminate “foreign elements,” that is, Jews and Gypsies as well as the larger enemy, Orthodox Serbs. Budak hid nothing about his plans. “The basis for the Ustasha movement is religion,” announced Budak. “For minorities such as Serbs, Jews, and Gypsies, we have 3 million bullets.” To cement the Muslim and Catholic killing coalition, NDH president Pavelić converted a local Zagreb museum to a huge and impressive mosque, adding surrounding minarets to its modern architecture, and naming the mosque after himself. Numerous NDH ministries were controlled or headed by Muslims. Pavelić even donned a Muslim fez to show his solidarity. Muslims were invited to join the barbaric Croatian Peasant Party and did so in significant numbers. When Muslims served in the Ustasha First Regiment, known as Black Legion, their black uniforms were the same as their Catholic co-killers. Senior officers were dressed in identical garb. Ibrahim Pirić-Pjanić and Memesaga Dzubur led their own local Ustasha-affiliated contingents. Muslim Ustasha Muhamed Hadžiefendić led his own militia in Tuzla. Hadžiefendić’s militia became so strong that Bosniaks wanted it to operate autonomously in Muslim areas of Bosnia. The Diet legislature, which passed a sequence of genocidal decrees, included 11 Muslims specifically appointed for that purpose. These decrees included outlawing Serbian and Jewish existence in Croatia, the looting of Serbian and Jewish property, and the systematic transfer to Serbian and Jewish citizens into death camps and merciless killing fields. Catholic priests commonly operated the concentration camps, enforcing the most degrading of slaughter rituals. In Sarajevo, most of the looted and confiscated property of victims went to Muslims, who raced to grab Jewish and Serbian assets before their Catholic partners. 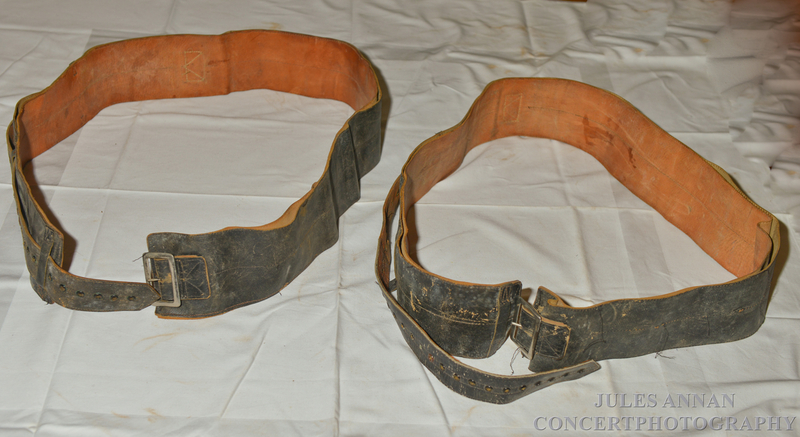 Under Croatian decrees, Jews were compelled to wear yellow Star-of-David armbands and back patches marked with a “Z” for Zidov, the Croatian word for Jew. Muslims plundered and decimated the Great Sephardic Synagogue in Sarajevo and the centuries-old synagogue in Dubrovnik. When Muslim families were moved out of their villages near the battle lines, the Ustasha evicted Jews from their homes so the Croatian Muslims could take their place. When Jews fled the November 1941 mass roundups in Sarajevo, preparatory to planned extermination, a number of them escaped only by disguising themselves under Muslim veils. At the same time, many of the Jews who did survive the Jew-hunts did so by appealing to merciful neighbors in the Muslim quarter that took them in and hid them until they could escape safely. Many Muslims in Sarajevo rejected the Bosniak Ustasha horror and tried – in vain – to protest to their co-religionists. Serbs suffered enormously. As Serbs were being forcibly converted to Catholicism, some 450 Serbian Orthodox churches were demolished and their religious icons defiled. Orthodox priests were gruesomely tortured and their families shipped to concentration camps where they were subjected to every inhumanity. * * * * * Pavelić declared early on, “This is now the Ustasha and Independent State of Croatia. It must be cleansed of all Serbs and Jews. There is no room for any of them here. 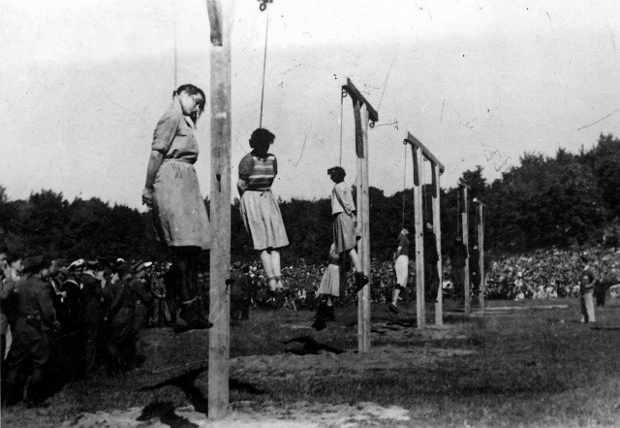 Not a stone upon a stone will remain of what once belonged to them.” He later said, “The Jews will be liquidated within a very short time.” To this end, more than 20 Ustasha concentration camps were established for the killing process, manned by combined Catholic and Muslim forces. 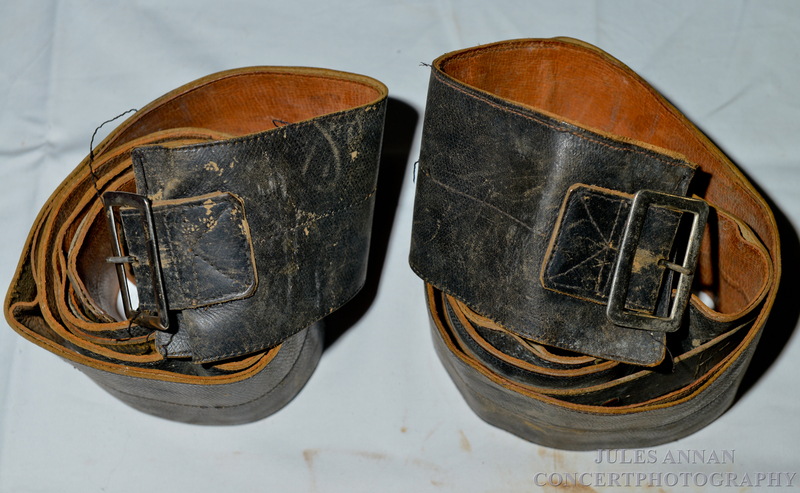 The most notorious of these camps was the hellish complex known as Jasenovac, considered by many to be more sadistic than Auschwitz. The Ustasha’s barbaric methods for exterminating Jews and Serbs included sadistic group killing by cracking heads open with hammers until the cranial cavity was exposed. That was for adults. 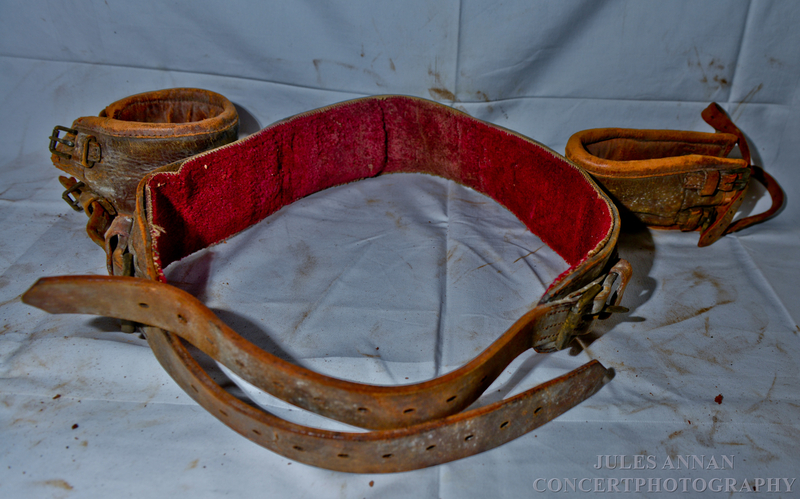 Children were commonly marched into the forest where their heads were crushed with long mallets. Sometimes children were thrown live into flaming furnaces. Decapitation or dismemberment with giant lumber saws was frequent. 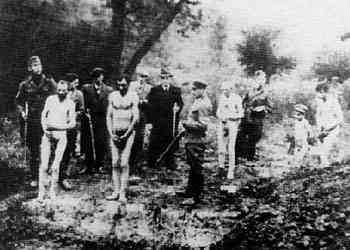 All too often, these Ustasha atrocities were not committed in fits of mad rage, but for sport, with the gleeful perpetrators smiling for the camera over the helpless victim waiting to be brutalized. Mass throat-slittings at great velocity were achieved with a small hand blade wrapped tight to the wrist and dubbed the Serbcutter. 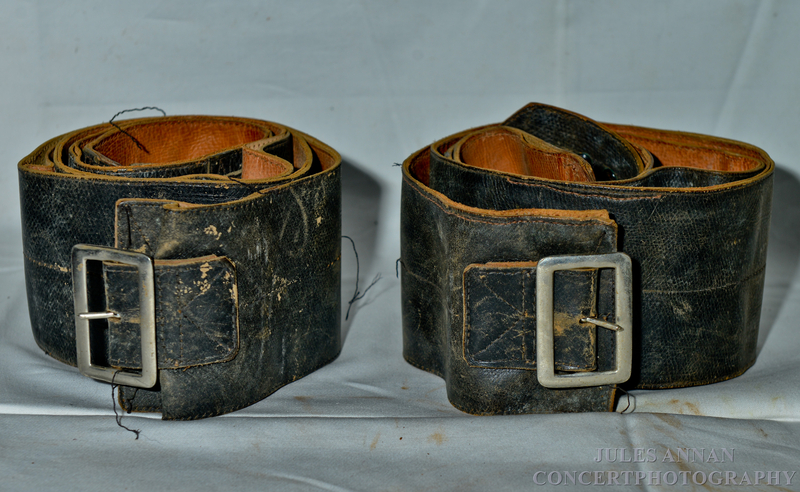 One night, guards at Jasenovac wagered among themselves to see who could cut the most throats with their Serbcutters. Guard Petar Brzica, a Franciscan priest, was determined to prove his skill, which he did by slicing the throats of an estimated 1,360 inmates. Guard Mile Friganović was close behind the winner, murdering about 1,100 Serbs that night. But Friganović was also known for an unspeakable incident in which an old man was asked to shout a salute to Croat president Ante Pavelić. When the old man hesitated, Friganović systematically and gleefully cut off his ears first, then his nose and tongue, after which he gouged out his eyes and then extracted the victim’s heart – and only after all that did Friganović end it all by slitting the prisoner’s throat. Friganović called the experience one of “ecstasy.” Groups of shivering Jewish children were brought into a camp one day. For sport, one guard began spinning a child above his head as the other guards slashed at him with their bayonets. Eventually, the guard was left with nothing but the child’s hand as a trophy. 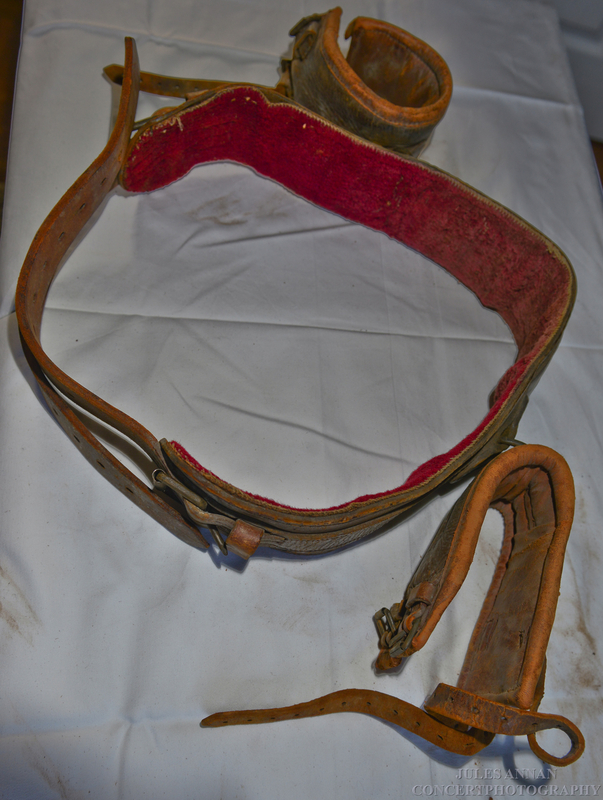 Other Ustasha trophies included eyeball collections, stored in wicker baskets for show and sometimes worn strung up in necklaces. NDH president Pavelić himself once showed a journalist a wicker basket filled with some 40 pounds of eyeballs. Pavelić joked that he could make an oyster stew with them. 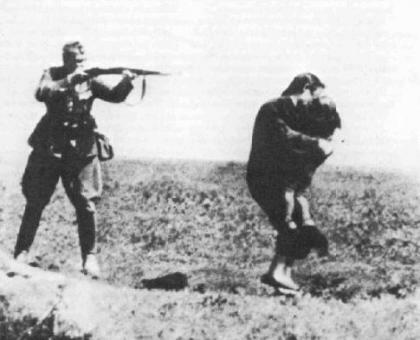 “A good Ustasha,” Pavelić told his troops, “is he who can use his knife to cut a child from the womb of its mother.” Cruel and inhumane as the Nazis were, they retreated in wide-eyed astonishment when they learned of the joint Catholic-Muslim Ustasha atrocities. German General Edmund Glaise von Horstenau, commanding officer of the region headquartered in Zagreb, reported back to Berlin, “According to reliable reports from countless German military and civil observers during the last few weeks, the Ustasha have gone raging mad.” He added: “The most wicked [concentration camp] of all must be Jasenovac, where no ordinary mortal is allowed to peer in.” Hermann Naubacher, Hitler’s personal assistant for the Balkans, called the Ustasha exterminations “a crusade that belongs among the most brutal mass-murder undertakings in the entire history of the world.” Naubacher somberly added, “According to the reports that have reached me, my estimate is that the number of those defenseless slaughtered is some three-quarters of a million.” Eventually, the Nazis fell. Their allies in the Ustasha and the three Waffen SS divisions faced postwar justice in many cases. But too many melted into the turbulent history of the Cold War. The mufti escaped and became a revered icon of the Palestinian people. The legacy of Islamic and Arab hate that spurred the Farhud burned broad enough to help Hitler get ever closer to his goal of exterminating all Jews. But the Third Reich fell. And those in the Arab-Nazi movement went on to form the post-war geopolitical Middle East that prevails in the current century. Edwin Black is the author of “IBM and the Holocaust.” This article is adapted from his just-released book “The Farhud: Roots of the Arab-Nazi Alliance During the Holocaust” (Dialog, 2010). He will lecture on the topic on January 31 for the American Sephardi Federation at the Center for Jewish History in New York City. ORIGINAL 100 GRAM SIZED…. 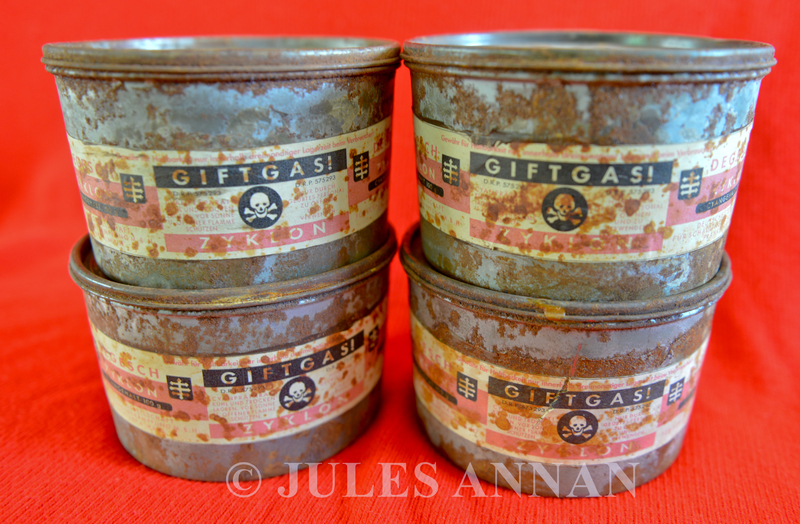 ZYKLON B CANISTERS FROM THE NAZI HOLOCAUST ERA USED AT GRAFENECK EUTHANASIA CENTRE HOUSED AT GRAFENECK CASTLE , GERMANY NOW ON DISPLAY AT THE CRIME THROUGH TIME COLLECTION , LITTLEDEAN JAIL . The former medieval castle Grafeneck was built on a hill near Marbach. On 24 May 1939, members of Aktion T4 visited the buildings in order to find out if it could be used for their killing programme. On 14 OctoberGrafeneck Castle was duly confiscated. Between 10 and 15 manual labourers from nearby villages started to convert the castle into a killing centre. 300 m away from the castle several barracks were built, fenced in with a hoarding up to 4 m high. On the first floor of the castle the following facilities were installed: accomodations and offices for the doctors, a registry office, a police office, the office for the comfort letters and others. On the second floor, small living- and sleeping rooms for the personnel were installed. 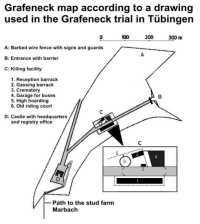 The main building of the killing facility was a barrack (68 m long and 7 m wide), which included several rooms. In one of them 100 beds were placed, covered with straw-bags. Three big buses for transportation of the victims and an ambulance car stood in a wooden garage. Two mobile cremation ovens were located in another wooden barrack. Because of the immense heat, generated by the round-the-clock cremation, the roof of the barrack was removed and after a short time the surrounding trees even blackened. The gas chamber, resembling a shower bath, could hold 75 persons. A former horse stable (round, and 15 m in diameter) probably served as storage room for the corpses. At the bottom of the hill, at the access road, a high hoarding and a guardhouse were built. Fences with barbed wire surrounded the whole castle whilst armed guards with dogs patrolled these perimeters. In mid-November 1939, SS men, typists and other personnel arrived and were supplemented during early January 1940 by approximately 25 nurses, some being male. In mid-January the cremation ovens were delivered. 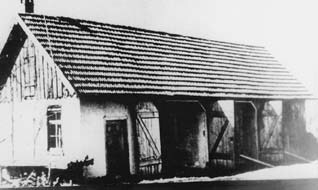 On 18 January 1940 the first transport of 25 handicapped men arrived fromEglfing-Haar near Munich, managed by the Grafeneck chief Dr Horst Schumann. He joined T4 since early October 1939, after a meeting with Viktor Brack in Hitler‘s chancellery. 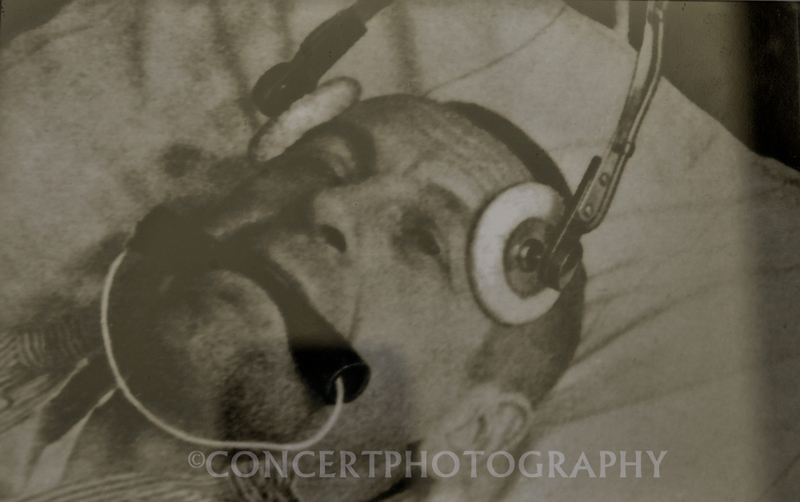 In early summer of 1940 he was ordered to the Sonnenstein euthanasia centre. Successors in Grafeneck: Dr Ernst Baumhardt and finally Dr Günther Hennecke. Chief of administration became Christian Wirth, a detective superintendent and SS-Obersturmführer. He supervised the first gassings. Later he became inspector of all Aktion Reinhard extermination camps. The killing continued until 13 December 1940. 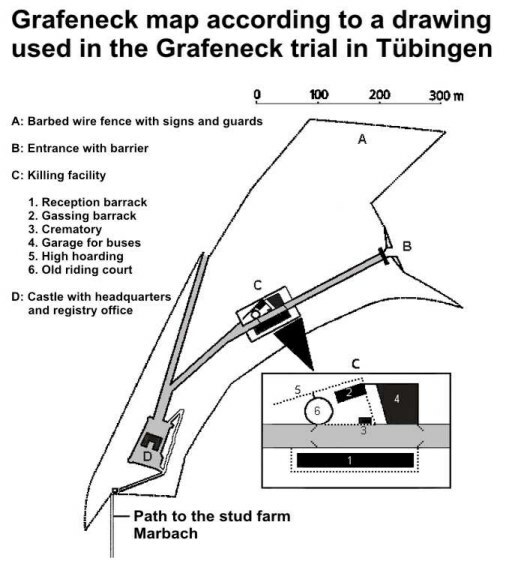 Then Grafeneck was no longer part of the euthanasia programme because, according to the plan, all handicapped persons from the Grafeneck operational area had been killed. Some of the personnel went on holiday while some were ordered to theHadamar euthanasia centre. A few remained at the castle to cover up all tracks of the actions that happened there. 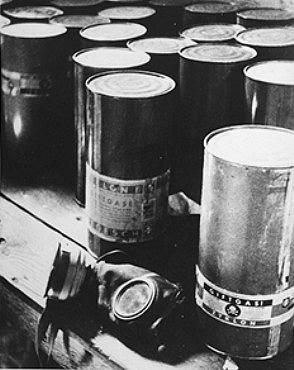 10,824 victims were gassed and cremated at this facility. Zyklon B (German pronunciation: [tsykloːn ˈbeː]; also spelled Cyclon B or Cyclone B) was the trade name of a cyanide-based pesticideinvented in the early 1920s, and manufactured by German chemical conglomerate IG Farben. 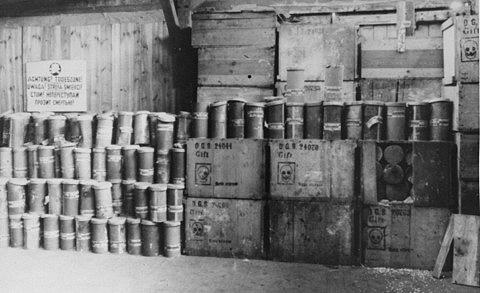 Zyklon B consisted of hydrogen cyanide(prussic acid), a stabilizer, a warning odorant (ethyl bromoacetate), and one of several adsorbents. Zyklon A was a previously produced liquid pesticide, which released hydrogen cyanide in a chemical reaction with water. After the invention of Zyklon B, Zyklon A production ceased. 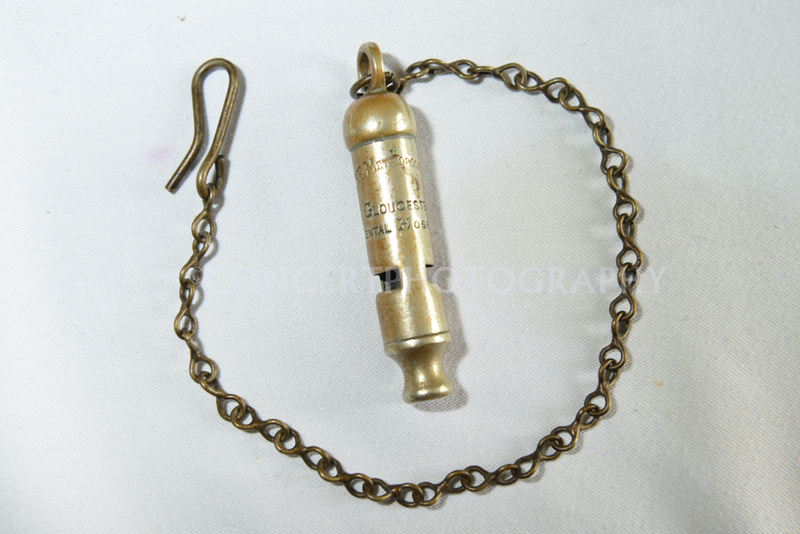 The product is infamous for its use by Nazi Germany to murder an estimated 1.2 million people, including approximately 960,000 Jews, ingas chambers installed in several extermination camps during the Holocaust. 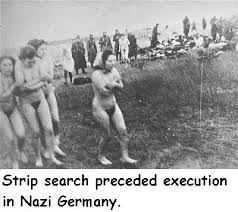 One of the co-inventors of Zyklon B, chemist and businessman Bruno Tesch, was executed by the British in 1946 for his role in this operation. 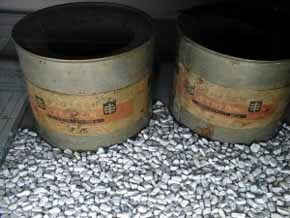 The containers above hold Zyklon-B pellets (hydrocyanic acid) that vaporize when exposed to air. 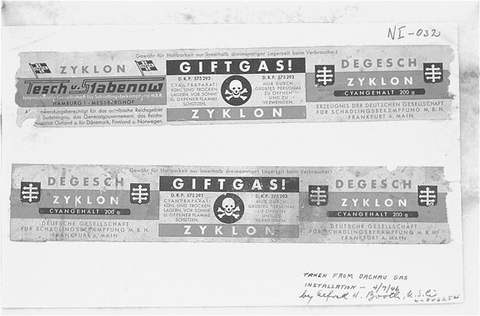 Originally intended for commercial use as a disinfectant and an insecticide, the Nazis discovered through experimentation the gas could be used to kill humans. 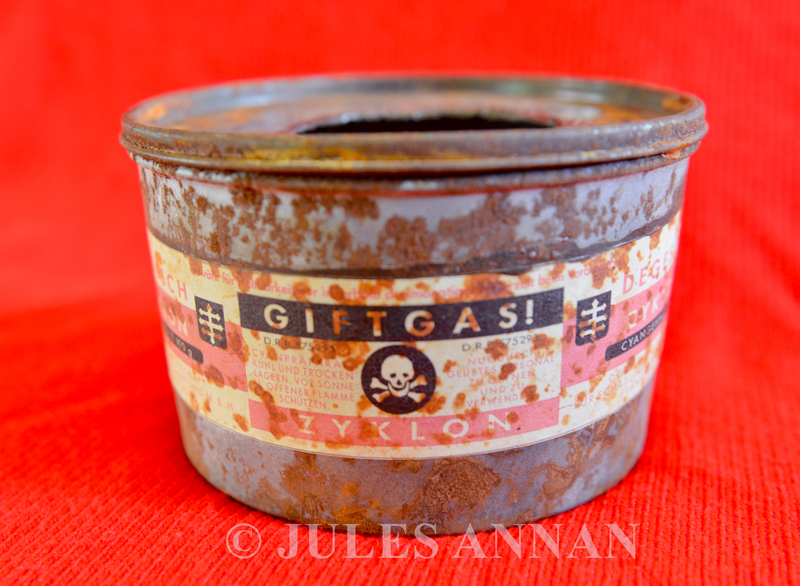 The brand of Zyklon-B used by the Nazis contained substances which gave the pellets a blue appearance and left blue stains inside gas chambers which can still be seen today in chambers that were left intact. During the killing process, prisoners at Auschwitz and other killing centers were forced into the air-tight chambers that had been disguised by the Nazis to look like shower rooms. 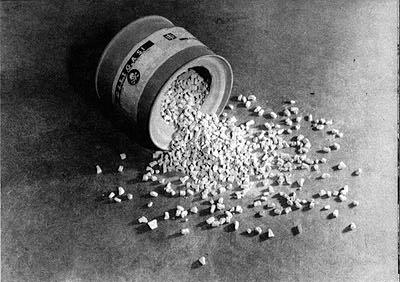 The Zyklon pellets were then dumped into the chambers via special air shafts or openings in the ceiling. The pellets would then vaporize, giving off a noticeable bitter almond odor. Upon being breathed in, the vapors combined with red blood cells, depriving the human body of vital oxygen, causing unconsciousness, and then death through oxygen starvation.